Have you ever eaten love? When I was in high school my aunt would make Toad in the Holes. It’s basically a piece of toast grilled with a soft set egg in the middle. We would pour warm Maple Syrup over them. The love part would come, when she would take the time to grill all of the little leftover squares and put some maple syrup on them. That little stack of two inch squares symbolized everything I loved about my aunt. These things are HUGE. The picture doesn’t do it justice. Yes each taco is over 4$, but it’s so worth it. Watching them take a perfect piece of Mahi out of the Tupperware lovingly dredge it in batter and fry it up. Can you taste it, the love? I can. 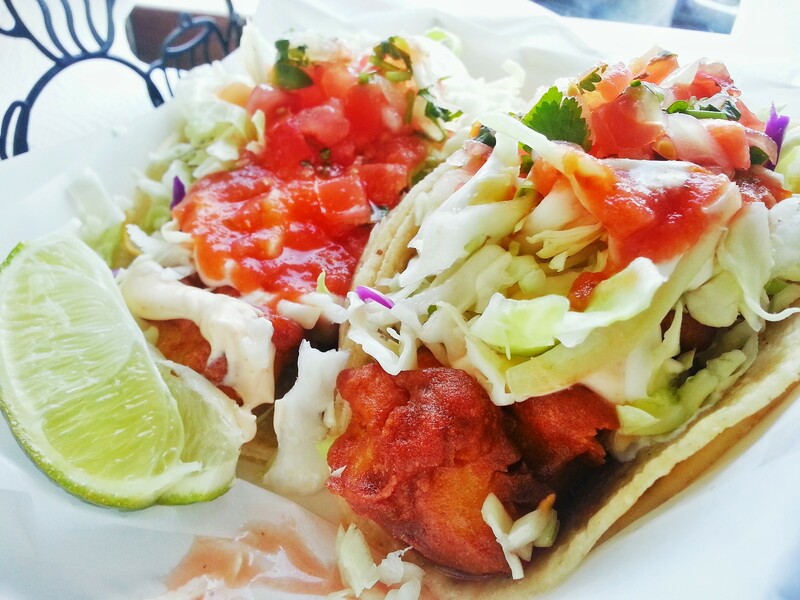 Posted in Fish, Huntington Beach, Mexican, Southern California, TacoTagged burrito, Crunchy, Fish, Fish Burrito, Food, huntington beach, Lunch, Normita's Surf Taco, Restaurant, SurfBookmark the permalink.